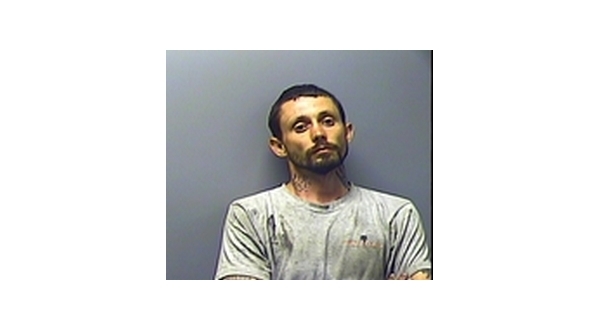 Coltin Trey King, who lists addresses in Flippin, Yellville and Victoria, Mississippi, pled guilty to being in possession of a stolen truck and was sentenced to three years in prison during a session of Baxter County Circuit Court Thursday. According to the probable cause affidavit, investigators from the sheriff's office reported receiving a tip a stolen pickup truck bearing Tennessee license plates was being operated in the Cotter and Gassville area. The truck was originally red, but had been hand painted white. In late August, sheriff's investigators observed the truck traveling on Harding Boulevard in Cotter. They made contact with King and a companion after the pair pulled into a convenience store. The investigators noted the steering column in the vehicle had been damaged. The damage to the steering column is often seen in stolen vehicles, according to investigators. King and his companion told several stories as to how they had come to have the truck. King was arrested and booked into the Baxter County jail Aug. 29th. The companion, 54-year-old John French Cox, was also arrested and charged with theft by receiving. He pled not guilty to the charges Sept. 20th and is set to go to trial in early April. Cox is currently free on $7,500 bond.